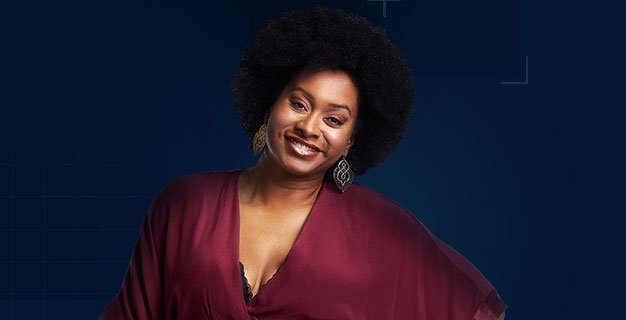 On Thursday night’s Big Brother Canada episode we saw the eviction of Kailyn Archer, a woman who entered the game with a specific plan that involved deception from the start. She tried to be an adviser of sorts to the other players, someone to give them advice and guide them along their journey. Yet, to some other players her strategy become skewed into manipulation, and during Chelsea’s Head of Household reign she was the target from the start. So what does Kailyn have to say about her game in retrospect, plus how hard she fought and who she wanted to target? Check out all of this in our latest eviction interview below. On the other side of reading this, check out the video below for thoughts on the new HoH and some live feed spoilers! 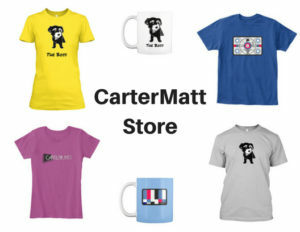 Be sure to subscribe to CarterMatt on YouTube so you don’t miss out on our daily live feed scoop and also take a look at our Big Brother Canada playlist. CarterMatt – What does it feel like to be out of the house right now? Kailyn – I thought I would have a great sleep with a bed to myself, but my mind was just replaying the past 24 hours over and over again. Hopefully tonight, getting into my own bed, I’ll be able to get back to me. So what part of the past 24 hours are you replaying the most? Mostly trying to rally for myself to my final speech to even meeting Arisa [Cox] for a second. Just playing things over in my head. 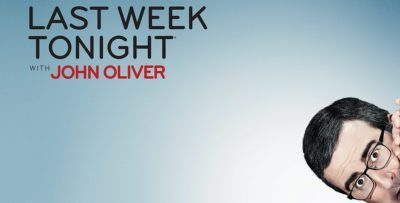 I’ll give you a lot of credit — you could’ve easily just given up during this week, but you kept fighting and trying to come up with ways to save yourself. How frustrating is it in that moment to keep going even when things aren’t going your way? So let’s say all of this works out for you, you stay, and then you end up being HoH. Who do you go after? What would your plan be? If I had won HoH, I definitely would have put Chelsea and Adam up on the block. If one of them managed to pull themselves down, Sam or Kiera would’ve been up there. Either way, it would’ve been great to get one of those four out. Going into this game, you had this plan to keep so much of your real life secret — including your family and your age. How did you resist temptation to spill the beans and keep this different persona? When I was doing things like cooking or cleaning up after these guys, it was so hard not to say ‘my six-year old knows how to make a bed.’ I was biting my tongue a lot but I knew going in that this was my gameplay. I saw myself at the end and I just thought how amazing it would be to be there and say ‘I started playing the game the minute I walked in the door and this is who I am.’ I thought that would’ve been a major play towards me winning the title. Did you spend a lot of time coming up with a game persona leading up to this? Do you know what? No. I had watched all of Big Brother Canada and I knew that it was usually the older person who was voted out first, or the person who goes in and plays really hard at the beginning. I said ‘I’m going to lie about my age and try to law low,’ but once you’re in that situation, it’s hard not to play hard. When I align with people, it’s hard not to be protective and that kind of got the best of me. That’s why I’m sitting out here today. I don’t believe in woulda coulda shoulda, but if I could do it again, there might be some things I would do differently. What do you think you’d do differently? I would probably go in as myself. I would say that I have four children and a stepson, I’m 42 years old, and maybe in the house this year, that would have worked. In the house this year we’ve got all the guys who want to work out all day and you’ve got all the beauty queens who want to run around in bathing suits and apply makeup. I could’ve been my own person — the mother of the house — and not be seen as so intimidating. The word “manipulative” kept being thrown around in relation to your game for the better part of the past week. Do you think that this is a mischaracterization? What did you perceive your strategy to be? Take a look at who said it — it was the two people I called out on their BS. It was Chelsea and I saw right through her, and it was Kyra who I called out as crazy. When they’re coming at me saying that I was manipulative, I really can’t take it to heart. In the big scheme of things, really and truly it means nothing to me. I think it’s intimidating to a lot of people when you can look at them and say ‘you know what? I see you and I see you clearly.’ They want to call that manipulation. On the flip side of all that, even though Chelsea has called me manipulative and a liar, the minute she got me by herself, she was telling me how much she respected me. I think that was more for the benefit of TV. Were you at peace with a unanimous vote? When I was asking people if I could get just one or two votes, I was doing that hoping that it would shake up the house and have people looking at each other. Nobody would’ve known, but it would’ve at least have shown the powers that be that you can’t intimidate everybody. I thought that would’ve been a good move, but nobody decided to take it. Everybody has to play their own game. In the end, was there anyone you felt especially betrayed by? Anthony. We came into the game and there was a mutual love and respect. Had he been on the block, I would’ve moved heaven and earth to make sure he could’ve stayed. I don’t think he did enough or tried enough. He could have persuaded people — where he led, they would have followed. But maybe it was best for his game for me not to be there; all of the other women were complimenting him and I was telling him to pull up his pants. Who did you actually feel the closest to? Probably Damien and Eddie. For Eddie, it was kind of a mothering thing and I wanted to keep him protected. Have a genuine love for the kid. With Damien, it’s just about respect. What was the biggest thing you learned about yourself through the whole process? I think I spent so much time being a mother and a wife that I learned it’s okay to step away for things for a minute and focus on what my dream was. My kids and I, we watched every season and this was something huge for me. I mean, I live in Grand Prairie, Alberta, do you know what I mean? I have a business and kids who need me at home? I decided to follow my dream — it didn’t last that long, but it was an amazing experience. It showed me things I could work on. Let’s say Big Brother Canada calls you and says they want to bring you back for another season. What’s your answer? Hell yea! I’m ready to fight. Let’s go.